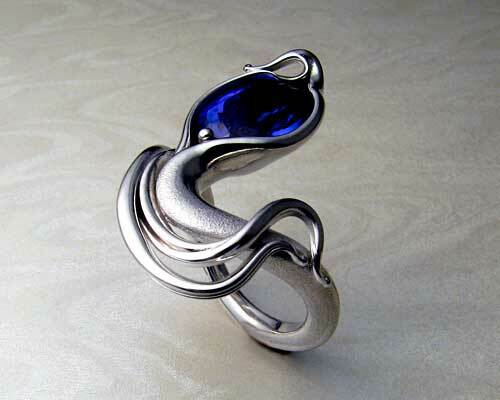 Viking, dragon ring. Sterling silver with patina. Celtic circle cross pendant. Sterling silver with patina. 8th to 9th century Celtic wedding band with bezel set cabochon garnet stones. The round cabochon stones provide an ancient look. 14k yellow gold, 5.5mm wide band, with patina. Celtic typeface, hand engraved inside. 8th to 9th century Celtic wedding band with bezel set diamond. 8th to 9th century Celtic wedding band. 1/4ct diamond bezel set in14k white gold. Band 5.5mm wide with rhodium finish. Handcrafted, Dara, Celtic knot pendant. Sterling, silver with patina. Celtic knot ring, 8th to 9th century. 8-mm wide band. Sterling silver with patina. Engraved, shield brooch. Amber bezel set, sterling silver with patina. Set of Celtic wedding rings. 14k white gold with rhodium finish. Engagement ring, diamond with blue sapphires bezel set. Gents band 8mm wide, ladies bands 3mm each. 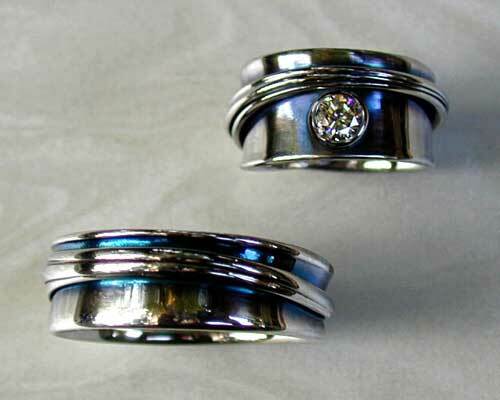 Custom made, Celtic wedding band with diamonds. 18k yellow gold. Celtic knot earrings with cornflower-blue sapphires. Elegant, Celtic knot earrings. 14k yellow gold knot-work, with cornflower-blue sapphires set in 14k white gold bezels and 14k white gold omega backs. Celtic band, 8th to 9th century Celtic knot-work with lions. 14k yellow gold, 9mm wide. Circle brooch pin, with Celtic zoomorphic engraving. Sterling silver with patina. 8th to 9th century Celtic band. 8mm wide band with three garnet cabochons bezel set. Sterling silver with patina. Custom made, Celtic engagement ring. Celtic knot engagement ring. Oval faceted red garnet set in 4-prong scroll setting with two cabochon red garnets bezel set, 18k yellow gold. Celtic knot-work 8th to 9th century. Celtic, zoomorphic brooch pin. Sterling silver with patina. Double dragon, Viking brooch pin. Sterling silver with patina. Viking, dragon brooch pin. Sterling silver with patina. Celtic wedding bands, with bezel set, Tsavorite green garnets. 18k yellow gold. Celtic knot-work, 8th to 9th century. Princess cut diamond engagement ring. 1/2ct. diamond, set in 4 claw scroll setting with 2.2mm pink sapphires bezel set in 14k white gold. 8th to 9th century knot-work 5.5mm wide. 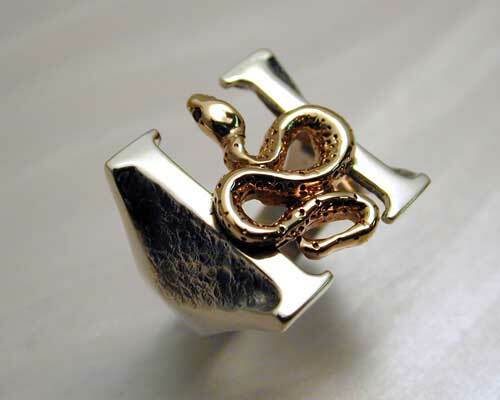 Serpent, ringed cross pendant. Sterling silver with patina. Tara brooch with Celtic zoomorphic engraving. Sterling silver with patina. 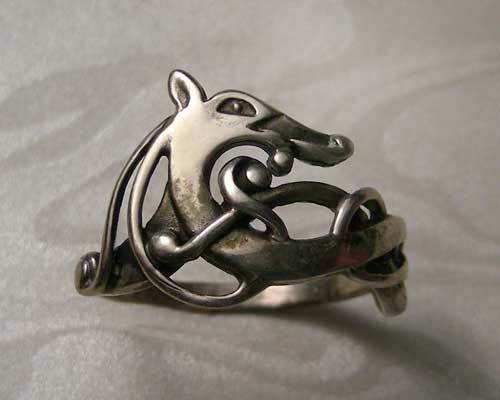 Viking dragon engagement ring. Diamonds bezel and bead set set, 14k white gold with rhodium finish. Viking wedding band, with open knot-work. 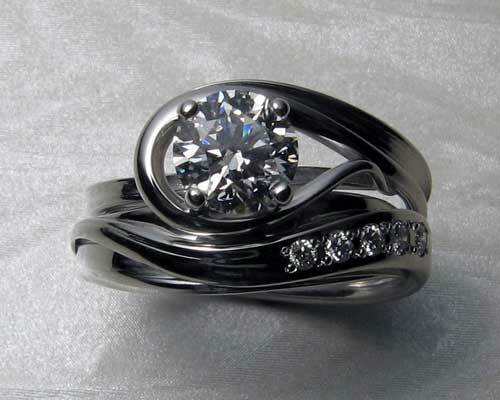 14k white gold rhodium finish. Handcrafted, Norse dragon pendant. Sterling silver with patina. Handcrafted, custom made memorial capsule, with Celtic knot-work. 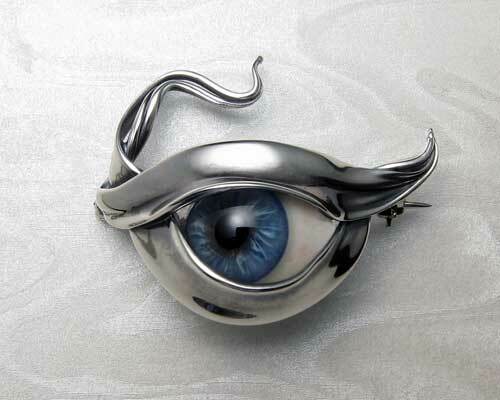 This custom pendant was created to hold ashes after cremation. Handcrafted in sterling silver. Celtic, trinity knot engagement ring. Peridot and diamonds set in 14K yellow gold. Celtic bands, with raised trinity knot and textured background. Handcrafted in 14k yellow gold, band widths - 5 & 7-mm. Celtic wedding band set. Three matching Celtic bands - white, yellow and rose gold, with green garnet and diamonds bead set. All bands 5.5mm wide, 14k with patinas. Narrow, Celtic trinity knot engagement ring. 5mm wide band, narrowing to 2.5mm at back., with 4mm bezel set corn-flower blue sapphire and 2, 1 1/2mm VS quality diamonds bead set. In the Celtic tradition the Trinity-Knot is also known as the triquetra or as a trefoil knot.